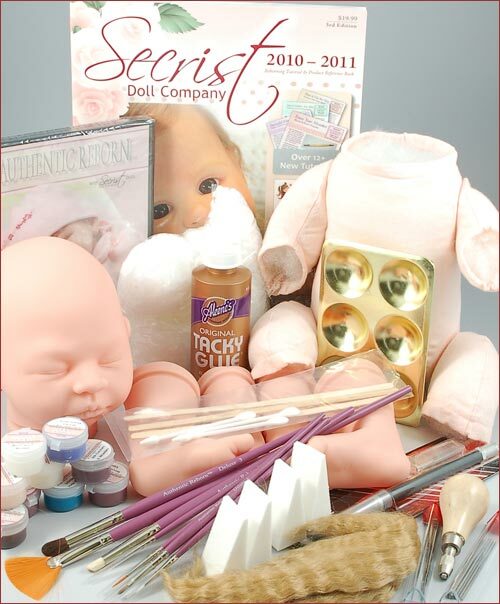 Course #3 teaches you even more with 13 important steps to making your most lifelike reborn baby. This is the perfect kit for you if you want the experience of making a full size 19 inch reborn baby. Additional tools and supplies are used and shown in the Course #3 DVD. If you would like more than the basic tools already included in this starter kit, we have a "Bonus Upgrade" option available that includes the extra tools and supplies that are shown in the DVD. Finished results will vary. See below for list of extra supplies included in the Bonus Upgrade Option. *Due to government regulations Odorless Thinner has some shipping restrictions. We cannot ship Odorless Thinner outside the continental United States. Artist quality odorless mineral spirit can be purchased from local art/craft stores throughout Europe. We recommend the Bob Ross brand.